My first read-along of the year, and a non-fiction book as well, so I thought I'd make a proper review. Also, this book was quite a surprise, in a good way, and deserves to be recommended. 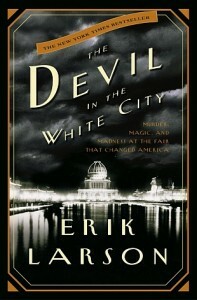 The book is question is "The devil in the white city", by Erik Larson. The book interested me at first because it was about the World's Columbian Exhibition, something I'd never heard about before. This was organized to commemorate the 400th anniversary of Columbus' arrival in the New World, and it took place in Chicago in 1893. 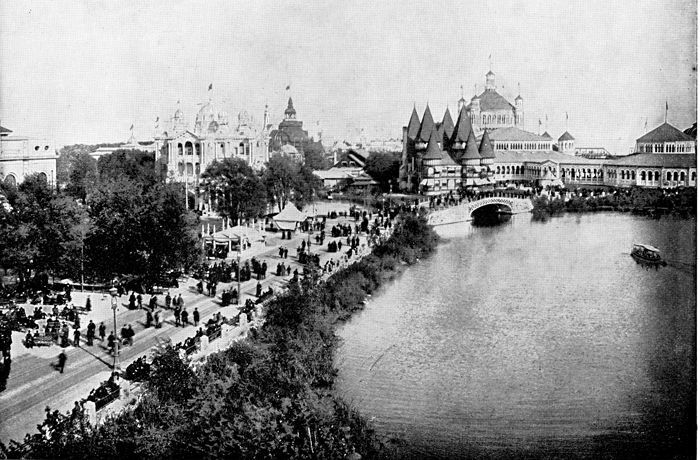 Throughout the book there are several comparisons to the Paris Universal Exposition of 1889, where the Eiffel Tower was unveiled, and that one I knew about, of course, so it's really mystifying I'd never heard of this other so important world fair. 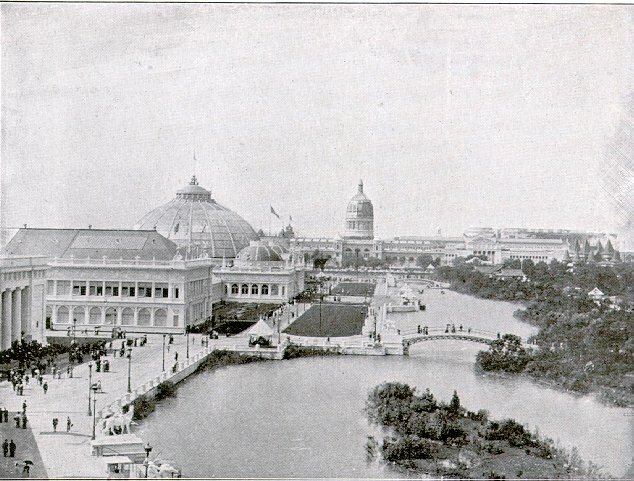 It was called the White City due to the color of its buildings, and in contrast to the Black City, which was Chicago itself (and the pollution surrounding it). 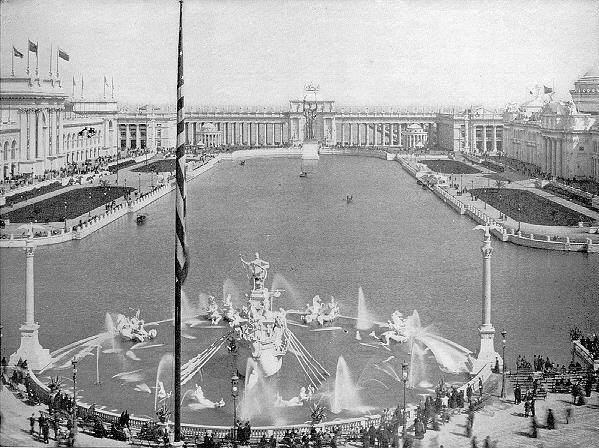 It was considered the grandest exhibition of its time, and it drew close to 26 million visitors, which is a staggering number for that period. There are two parallel stories going on throughout the book, and although you'd expect them to intertwine later in the future, the fact is they never do, except for the fact that they take place in the same location and during the same period, and one can be considered a direct consequence of the other. The main story is about the construction of the exhibition, and later on its opening and daily operation till it closed down 6 months later (it ran from May to Oct. 1893). The parallel story is about H.H. Holmes, an alias for Herman Mudgett, later known to be one of America's first serial killers. He built a hotel which was very close to the exhibition's grounds, with certain singularities that made it easy for him to commit his murders. There's also a third story, although shorter, about the mayor Carter Harrison and his murder by a fanatic called Patrick Prendergast. So, what I loved about this book: the whole architecture discussions and details, not only of the exhibition's buildings, but also of the architects involved. I was very sorry that there were no photographs accompanying this book (I read it the digital version, so maybe the printed version has them) because it would've made the reading even more interesting. And the way these buildings are discussed and described by the author, it really made me want to see them for myself. For a non fiction book it almost felt like reading a novel. Daniel Burnham and Olmsted, the exhibition main directors and central characters in the book (Burnham was responsible for the architecture, and Olmsted for the gardening and landscaping), were sympathetic enough and their stories interesting to read about, but didn't quite get my attention entirely. The description of their works were much more fascinating to me. Also, I loved the part about the Ferris Wheel. On the other hand, the people on Holmes story made more of an impression on me. The victims' loneliness and vulnerability, all those young single women that arrived in Chicago hoping to build a better life, they were such an easy target for Holmes. He reminded me of a giant venomous spider, with the hotel as the center of his web. He's described as being an extremely charismatic man, full of personal charm and able to convince anyone that he was someone to be trusted. It did scare me a bit, since it makes me wonder how many Holmes might be out there, and are never found out. I was quite sorry to learn at the end that the much of exhibition's grounds were burnt in a fire that occurred a few months later. Although the architects decided earlier on (due to time constraints) that the main buildings were to be temporary and therefore not built to last, I think it would've been a wonderful sight to see, even by today's standards.